Kraken Review: Can it Stand the Emerging Competition? Kraken is a respected cryptocurrency exchange that has cut a name for providing easy and secure access to leading crypto coins. Founded in 2011, Kraken grew from being a Bitcoin-only exchange to the most sought-after exchange for its impressive features such as support for leverage trading. As one of the oldest and trusted exchanges in the industry, Kraken even won the affection of governments for its stability. For instance, it was selected to help facilitate the payment to creditors and investigation into the 2011 Mt. 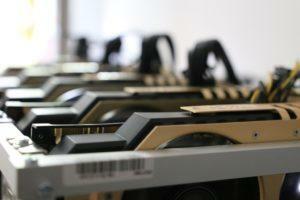 Gox attack that resulted in the loss of more than 600,000 BTC. Even with the impressive credentials, Kraken sits at position four behind newer platforms such as Bitstamp and Coinbase on the Bitcoinity.org ranking list. As if that is not enough, Bloomberg has reported that Kraken could be manipulating data to drive trade in its platform. Is Kraken a Safe Platform? Which Assets Does Kraken Operate In? 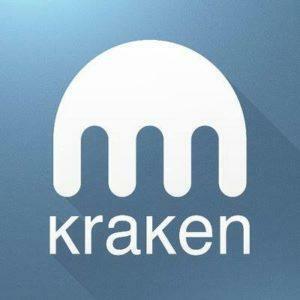 Kraken is a cryptocurrency exchange that was created in mid-2011 by Jesse Powel. He is also the current CEO. But it was not until the third quarter of 2013 that Kraken officially opened its doors to traders. The exchange grew rapidly in the first few years to become the leading exchange in Europe by trade by 2014. It also pioneered the use of the verifiable cryptographic proof of reserves audit system. Kraken also won the trust of governments in the US, EU, and the Far East. For example, following the debacle of Mt. Gox in 2011, Kraken was selected as the trustee to help pay creditors who fell victims to the theft. It would also help with investigations to establish how the theft was carried out. Kraken is rated 4.5 stars because it also operates as the dark pool in line with private securities exchanges that help large financial institutions and high-value clients trade anonymously. Kraken also uses locked-in servers with data being encrypted and these are updated every day. The platform’s internal network also runs separately from the uploaded client’s data. This implies that the staff at Kraken can only gain access to user data for verification only. The exchange also maintains extensive reserves in different banks to cater for surges in demand. To keep user accounts and customer details safe, Kraken uses 2-factor authentication. This is helpful in preventing the loss of personal assets in the event that someone gets your password. Account users also have the option of placing a global setting lock (GSL). The settings help prevent changes on a user account over a period of time and hides sensitive info. Note that it is an optional layer of security. Kraken, like other companies, uses the standard SSL certificate that helps to protect account users from phishing attacks. Make sure to always check the green padlock on the URL address that demonstrates the connection is secure. To keep your account even more secure, Kraken allows users to encrypt their email communication. If your email is PGP (pretty good privacy) enabled, Kraken allows you to insert the PGP key in the account setting to ensure that all emails sent from the exchange are encrypted. This helps to reduce the danger of email interception from hackers. This Kraken Bitcoin exchange review established that the platform’s security features are unrivaled in the niche. Well, if you want to trade in an exchange that guarantees your coins are always safe, Kraken is one reliable option. Kraken operates as a leading gateway for the cryptocurrency niche. 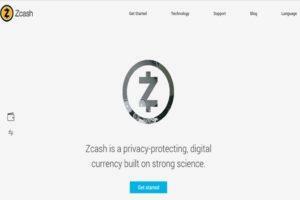 This implies that many people who want to join the niche use it to buy digital coins using fiat currency. This operational design makes Kraken one step ahead compared to its peers such as Bittrex and Binance that run as crypto-only exchanges. Put it this way; if you have some USD, cash in a credit card, or funds in a bank account and want to trade at Binance, a platform such as Kraken will be required to convert the cash into the targeted coins. Kraken’s exchange is available in most countries across the globe. You can deposit or withdraw your funds from Kraken in Canadian dollars, British pounds, Japanese yen, and euros. Note that you can make a direct deposit right from the bank or by using a credit card. What is even more impressive about Kraken is the growing list of supported coins. To the left of the trading platform interface is a list of supported coins that include XBT/USD, BCH, ETH/XBT, DASH, XBT, GNO, MLN, REP, XLM, ZEC, XMR, and ERP to list but a few. Before you can start trading, note that Kraken attaches Bitcoin with a ticker so that it reads “XBT” as opposed to “BTC” that you will get in other trading platforms. When you decide to trade cryptocurrencies, your profitability will be directly impacted by the transaction charges. Therefore, this is one of the crucial components in this Kraken review that helps to inform the conclusion about its use. Depositing/withdrawing USD with a wire transfer from US banks attracts a charge of $5. Depositing and withdrawing USD with a wire transfer from banks outside the US attracts $10 and $60 respectively. Making EUR SEPA deposits (this is for all EEA countries) is free. However, withdrawals attract a fee of €0.09. For users operating outside EUR, deposits are charged €10.. If making deposits using CAD wire transfers, there are no charges. However, a withdrawal fee of $10 is levied. The transaction fee at the exchange is dependent on the trading volume and whether you are the maker or taker. Besides, it also depends on the selected cryptocurrency. For example, in the fee schedule below, you will realize that the maker and taker fee goes down as the volume increases to encourage users to move larger volumes. Though the fee is in line with other exchanges, concerns have been raised about the segmentation of between the maker and takers. When the charges are combined, Kraken’s charges stands relatively higher than its competitors such as Binance and KuCoin. You could also check Kraken fees schedule page to see the complete list of different assets. To start trading at Kraken, you will need to register for a trading account. This is simple and only takes a few minutes. 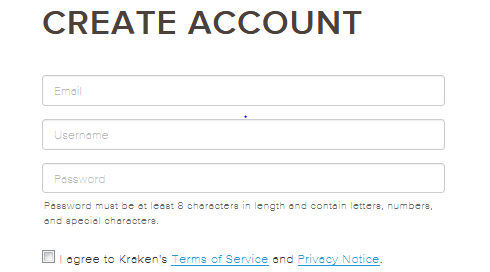 Visit the Kraken registration page and enter your email, create a password, and username. Here is an image of the interface. Account level one/Basic: Verification requires a user to provide details such as a name, date of birth, country of residence, and phone number. You are allowed to make deposits and withdrawals, and trade with cryptos only. Account tier two/Basic: At this level, the user is required to confirm the address of residence. 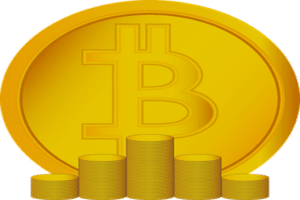 The account allows the user to make deposits and withdrawals, and trade even with fiat currencies. Account tier three/Advanced: This account requires the user to add a taxpayer number. You will have the withdrawal amount increased once the account is verified. Account tier four/Pro: This account type requires the user to reach out the support to get the requirements. When you get to level four account verification, all barriers are cleared. This implies that you can make deposits and withdrawals of any amounts. Once you have created an account at Kraken, it is time to start trading. But before you can take the first position, you will need to deposit funds in it. As indicated earlier, the deposit can be made using fiat or other cryptos. To place an order on Kraken, there are a number of options. The simplest method is using the “simple order” form that allows users to add basic parameters such as buy, sell, and limit. The second method involves using an “intermediate order” form. This form allows traders to include more parameters such as when the order should start/close and the preferred currency charges. This method also allows the user to select the preferred leverage. The last option is the “advanced order” form that was activated in February 2018. The form allows users to use more parameters such as setting their stop losses and take profit levels to trigger actions. For example, the Take Profit position determines when an order will execute a market position. Other order types available at Kraken include the settle position and Conditional close orders, as well as the Post limit order. Margin trading is one feature that makes Kraken stand out from other exchanges in the market. 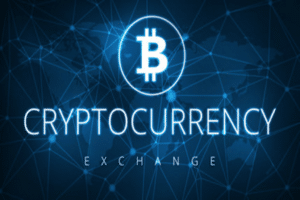 The exchange allows users to trade at a leverage of up to 5 times. If you are a trader but also engage in program development, Kraken has an impressive application program interface (API). It helps to define how one application interacts with another. At Kraken, developers can craft programs that can help them connect with the exchanges and run most operations from their own apps or sites. The Kraken API helps users to retrieve real-time market data, follow past market trends, and even run withdrawals. It is the preferred option for algorithmic traders who mainly follow markets based on trading indicators. To use the Kraken API, you will need to start by generating the API key and setting up for personal access. Then you have to provide the requirements of your application algorithm for sending and receiving info from Kraken before submitting them for review by Kraken management. When you set out to review kraken, the dark pool is one of the interesting features. The dark pool simply means being able to place trades that are not visible to the rest of the market. When a large order is placed on the order books in crypto trading, it tends to have a major impact on the price of specific currency pairs in the market. The effect can be a panic that triggers massive selling or buying of a specific coin. By allowing anonymous and hidden order execution, the dark pool has become a good option for institutional investors and crypto whales. Orders on the dark pool are referred to as dark orders and attract a fee of 0.1%. Besides, only clients on Tier 2 accounts and above can access and use dark orders. For the last 10 years that cryptocurrencies have existed, the exchanges have become the primary target for hackers. As a trader, your primary goal should be selecting a platform that guarantees optimal security. Though it is one of the oldest in the industry, Kraken does not have a hacking history; others such as Mt. Gox and Coincheck reel with negative tags of attacks. That is a major score. Though some complaints about Kraken support have emerged with some people arguing they are not responsive, it appears that some are indeed not genuine. For example, their live support portal always pops up when you visit their exchange asking how you should be helped. During this Kraken platform review, most of the questions were answered by the support promptly and in line with content on their website. The answers to the questions posed at the beginning of this post are that Kraken is not losing its vigor and it will withstand the emerging markets. Many reviews of Kraken concur that its impressive security and operational features make it a great option for both new and pro traders. If you are looking forward to joining a crypto exchange, this Kraken review considers it as one reliable option that you should consider. However, always follow the best practices when dealing with crypto platforms. These include only trading a small portion of your funds at any moment, keeping your coins in your wallet when not trading them, and learning how to trade cryptos before joining the markets. 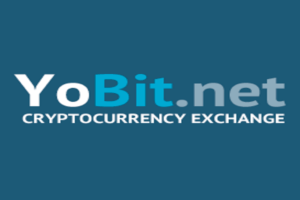 YoBit Review: Is it Legit or a Scam?